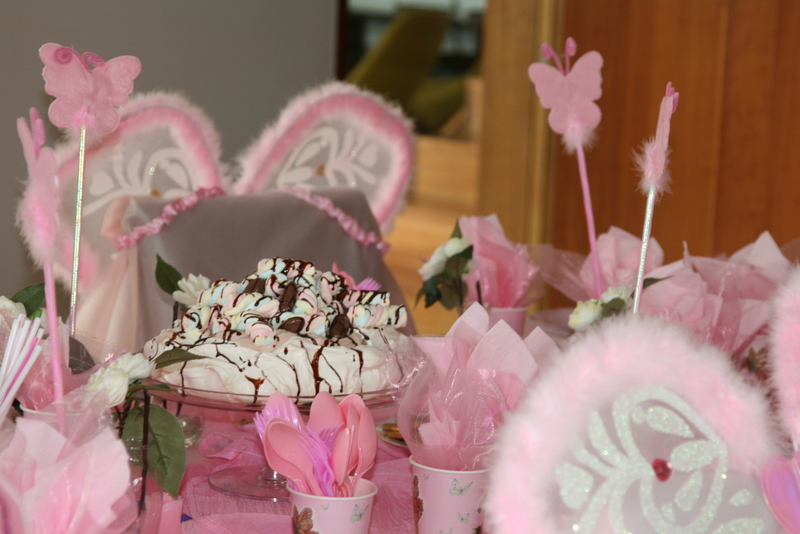 Theme party | The difference is in the detail. Moms – ALERT !!!! Here is one of many posts about a themed party. 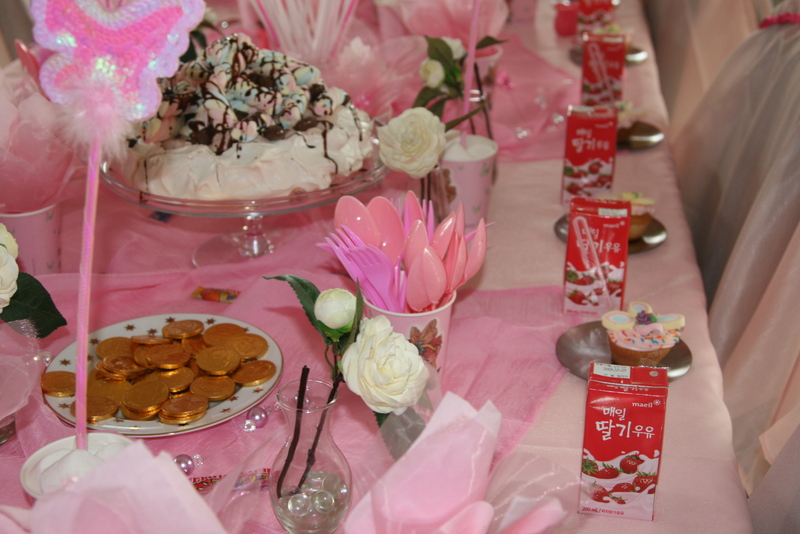 I have recently posted about a BARBIE birthday but this post is a bit more of a tutorial in general on themed parties of any kind! 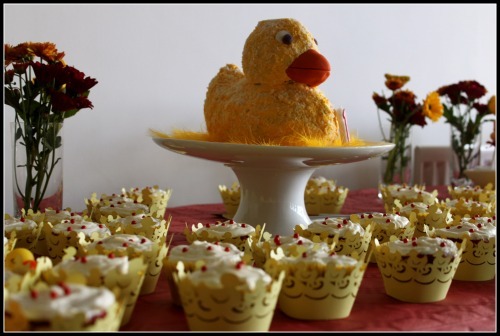 So if you are not a mom or your kids are old enough not to resort to duckie parties…you can still get some tips on general party planning for a party with a THEME !! We all know planning a party takes a great amount of detail…but sometimes the end result does not actually display how much effort has really gone into that party ! For an event to eventually display and highlight every bit of detail, you need to think carefully through every step of the event and do those things that will in the end create the effect you were hoping for. It all sounds very basic and obvious untill you look at the end result of your party and realize that somehow you lost the WOW factor !! All that money you spent and all that trouble you went for, not being noticed. 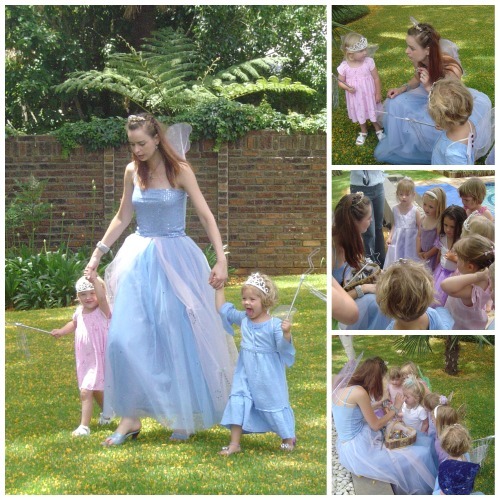 Me and my sister have done a few parties together and we do have the same genes…..therefor I can proudly use her most recent birthday party for her beautiful little girl who just turned 1, as a great example of a themed birthday party that got pulled off with great success. And no doubt in anyone’s mind what theme she was trying to portray ! 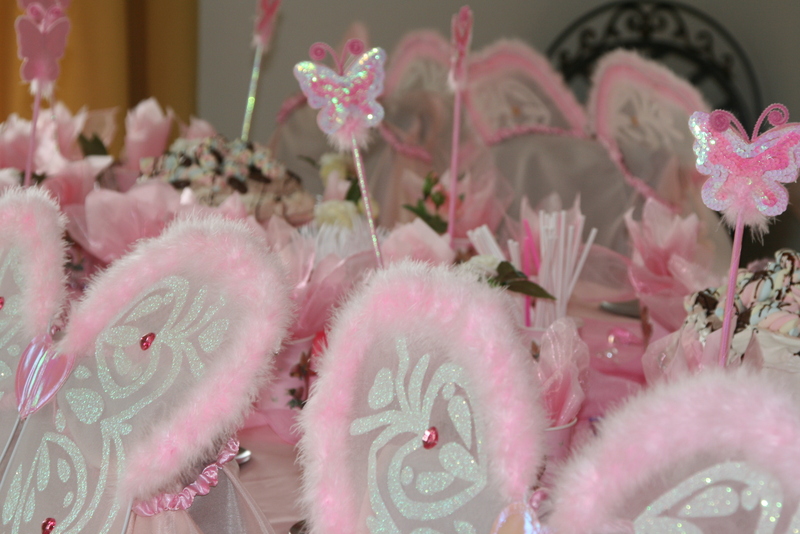 In selecting a theme, the safest way to go is to pick a theme that the birthday boy or girl is familiar with and love…that way you know already they will be comfortable with it and with little ones..they will easily identify and be in their happy element when they recognize elements or toys at the party that they adore. 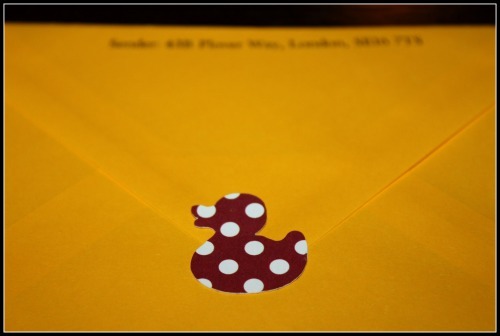 It was not a big guessing game to figure out what this little one loves…her favourite toy – hence the duckie theme ! 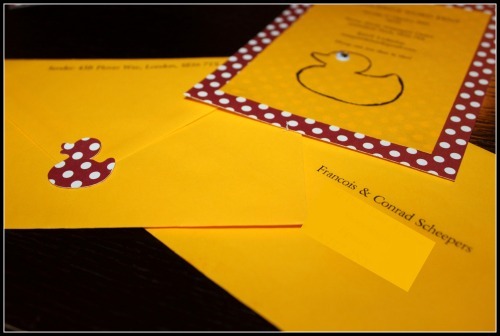 When you plan a theme…start already when you send out the invitations. This already gives the guests a good feeling for the spirit of the day. 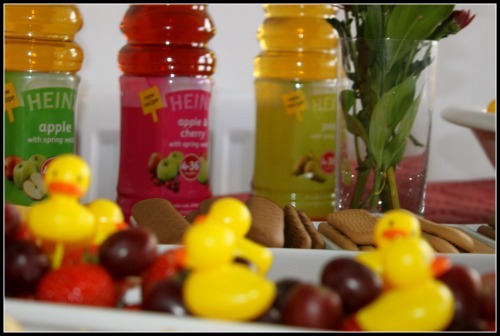 Why send out blue balloons if in fact your idea is to go with yellow duckies, spiced up with red ? On the day of the party, guests will realize that you have properly planned the party long before they have arrived for the big day and this will make them notice the further details on the day so much more. You created some expectation in their minds and you are delivering to meet that idea that they visualized. Pay attention to the small details as you prepare your invites. It does get noticed ! 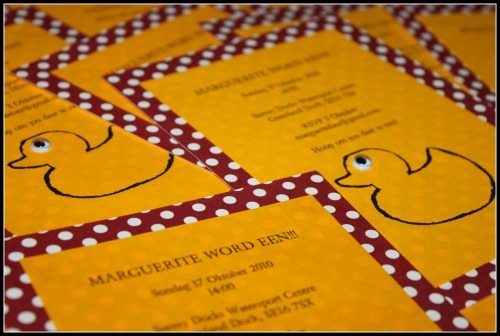 These invites have all been made at home, by hand and home-printer, so you do not need to spend a fortune on having invites specially made and printed by a professional. There are so many scrapbook stores around these days to make life an absolute pleasure when it comes to making crafty paper products. There are lovely electronic versions for invites, which I will post another day…but it must be said that old-fashioned invites via regular mail can still not be beaten ! If you do not wish to give your theme away beforehand or you have not finally decided by the time you send the invites…. you can simply make the invitations in a colour scheme you plan to have for the party or something that will set the general tone and ambience you wish to create. 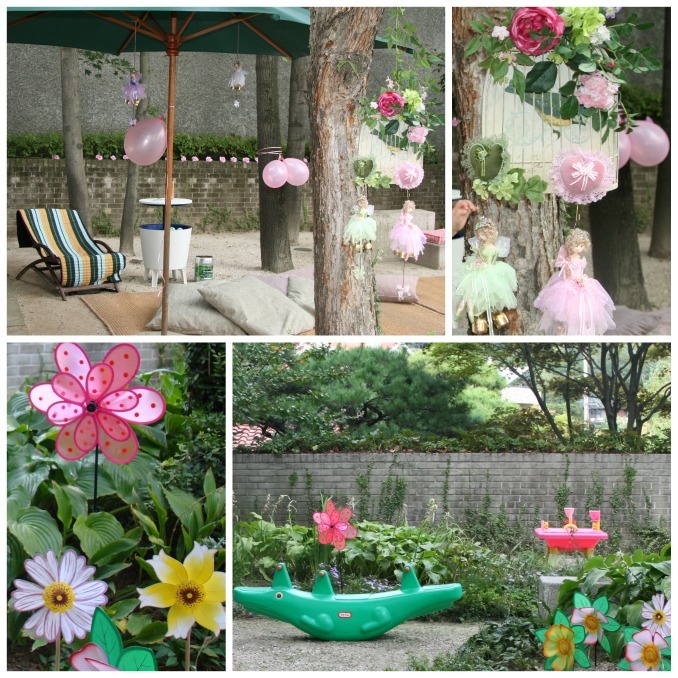 For eg – dont send “earthy” if you wish to have a happy, sunny kids party !! Make it black for elegant, make it polka dot for girlie..anything in the line of your general mood for the event. Just stay away from a pretty invite that is way off track with your intentions. For a theme to make a great impact you need to select a colour associated with this theme that will be used right through. And then – REPEAT, REPEAT, REPEAT this colour over and over in everything you put forward. Colour is what binds the whole thing together beautifully where themed elements not always do. Do not buy elements that all support a theme, but then they are in such different colour ranges that it is difficult to pull it together in the end. That way a lot of money is wasted on a ton of small things that all dissappear in the background and the effect is lost. Next is to plan the menu. The choice of food has to fit into your theme as much as possible and yes…now we are pushing it…but here is where the little trick comes in……let it fit in with the color scheme of your theme ! 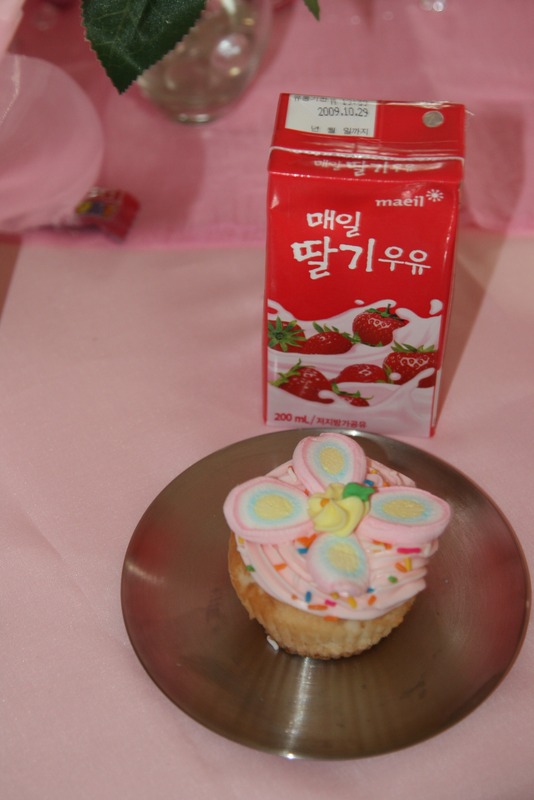 The actual food forms part of your food decoration. 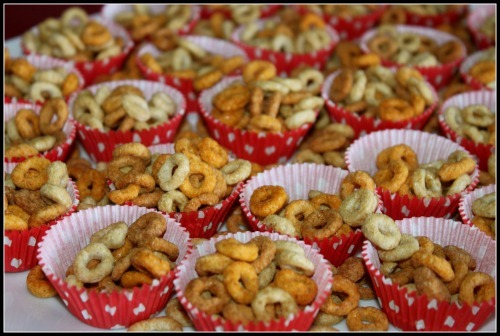 For the little 1-year olds, soft sandwiches and cheerios were 2 great picks and they were served exactly in line with the theme and colour scheme. Note that the serving sizes are just perfect for the little tummies they are meant to fill ! Do not think for one moment that rainbow coloured cheerios would have given the same effect – it would have distracted from the yellow and red chosen for this party. The food blends in with the overall colours. 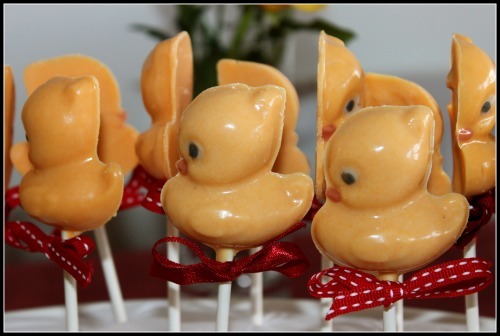 Little duckies toothpicks – a great touch to an otherwise boring little utensil ! 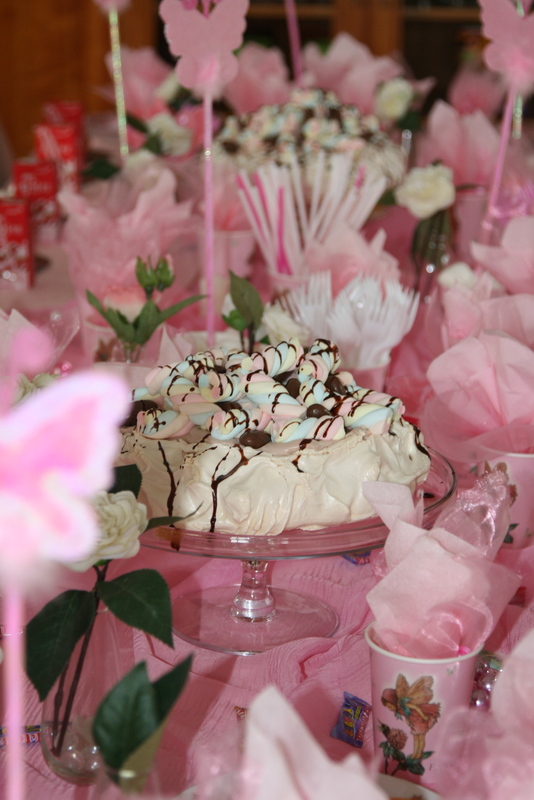 Where the food can not speak for itself…let the decorations do the talking ! It can become very “forced” if every single item varies just between red and yellow. So here a little green is brought in…to brighten up the overall look without distracting from it. The overwhelming colour of this chips bowl is still red ! But you will later notice how the green is cleverly integrated in the juice containers. 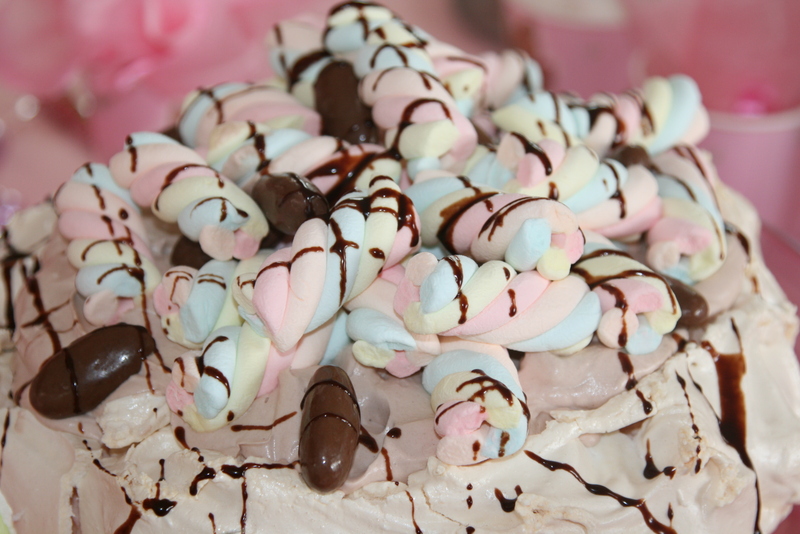 Little ones love lollies and how perfect to have home-made chocolate that can easily melt and provide that little sweet treat every 1 year old deserves at a birthday !! So much better than the sticky version they tend to put everywhere. 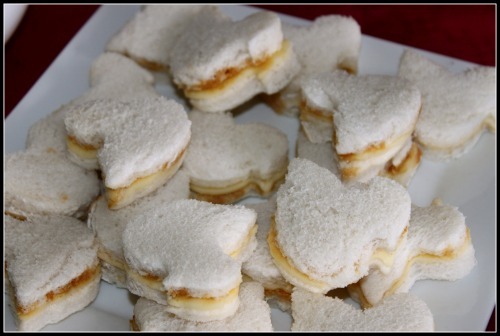 Little cheese blocks and cherry tomatoes served dual purpose between kids and grown-up food and is therefor a great hit where parents are concerned about healthy treats for their little ones. Still on food and we all know that at a 1-year old birthday, for every baby there is at least one, if not two parents there. 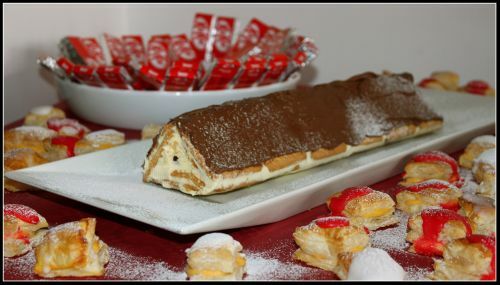 Pay attention to their food as much as the little ones…here Kit Kat bars and custard cakes are all still very much in line with the red and yellow that has by now been impossible to NOT notice !!! For the drinks…why let a good thing end with the food? Carry the colours of the food (and the party) all the way through to the drinks. 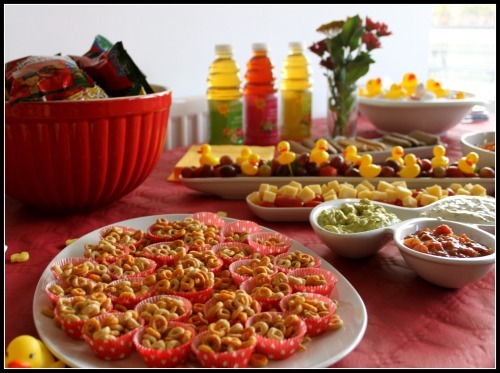 Look how beautiful these juices compliment the snacks and overall look of the food table. And how cleverly the juice labels works together with the green of the flower arrangements as well as the chips bags I showed you earlier. 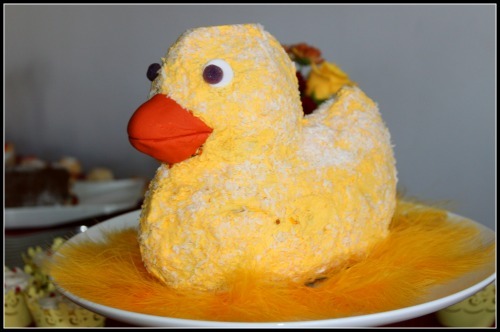 ……homemade, with love…and yes, you guessed it – a DUCK ! 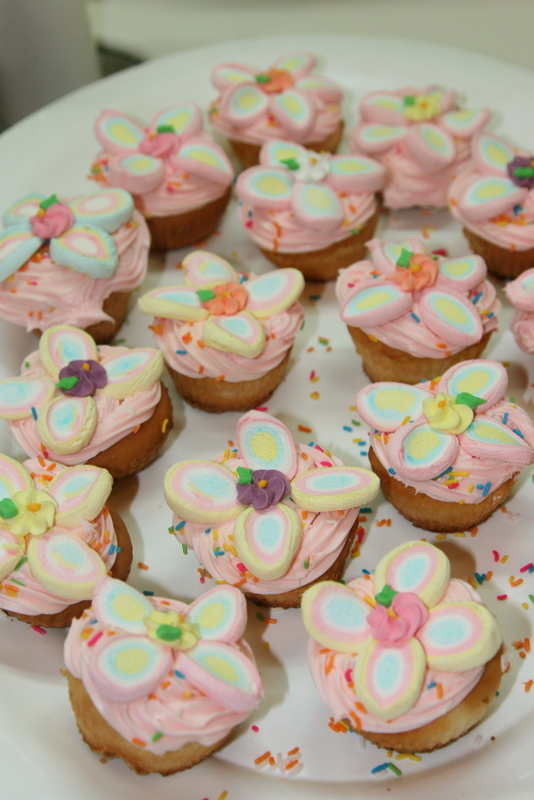 Cupcakes were added for easy eat and extra portions…. 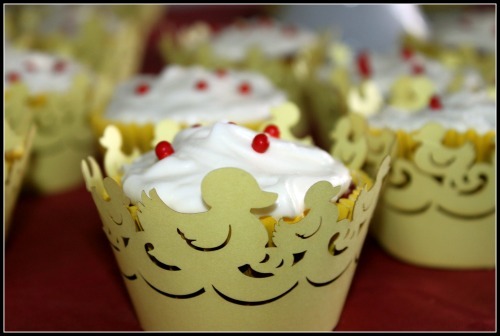 Red Velvet was perfect to go with the red and yellow – but I think it had more to do with mom’s favourite type cupcake !! ……but are these cupcake holders not just to die for !!?! 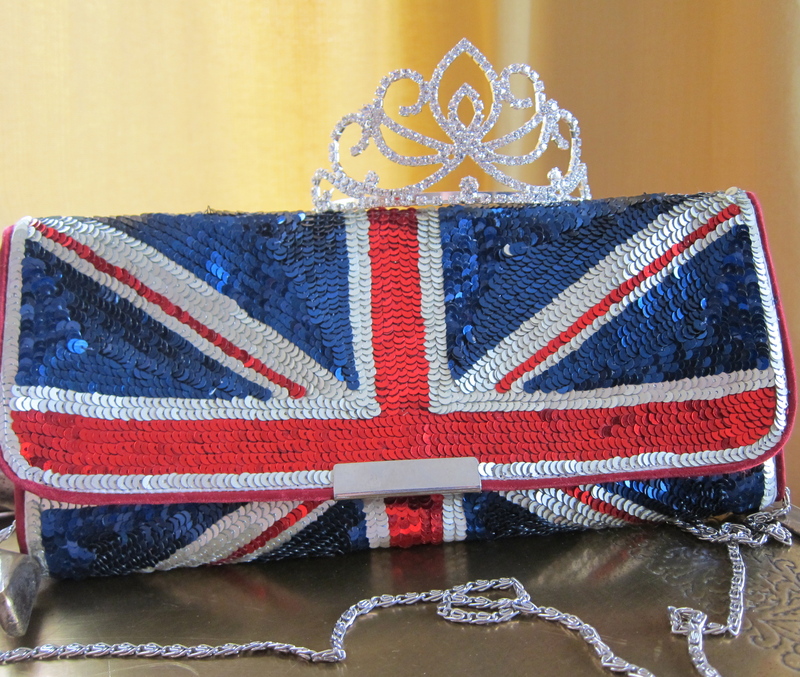 They are available at Blue Ribbons. For room decorations, you don’t need to go overboard – especially if it is at a venue which is not your own. Make something already at home, easy to put up and easy to remove ! 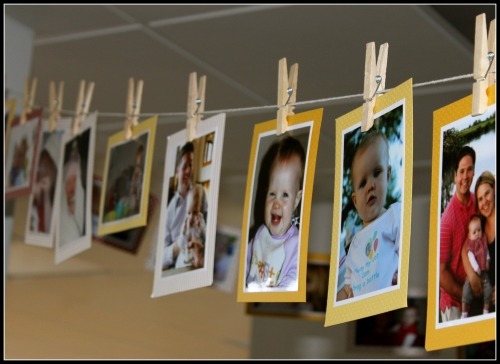 This laundry line is a great display to celebrate the first year of a newborn’s life up to this BIG day. All parents love showing off their little ones and here it is no exception. 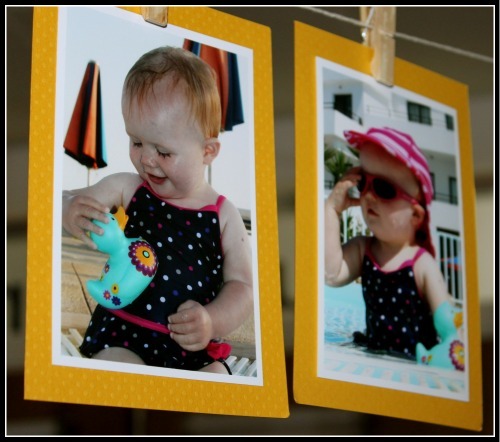 Just in preparing this laundry lane, it will take you as parent on a trip down memory lane and it will just make the birthday all the more real and a big highlight. It passes so quickly – so do take the time to enjoy every step of the way in preparation for the big day. And it surely beats the happy birthday banner we so easily resort to! No offense – they do wonders when you are short on time – but here our aim is to WOW and nobody has ever WOW’ed a printed shop banner… not that I know of . Moving on there is always a point where the party fades and people start going home and yes – then there is always anticipation of the “goody bag”. I have no idea who invented that and although it adds a fun element to a party, it sometimes get out of hand and guests leave with a bigger gift than they gave to the birthday person. Yes – it has happened to us on more than one occassion. So, my advice to you is to keep the goody bag a nice presentable gift, but keep it small enough so that no guest would feel their gift was insignificant in comparison. 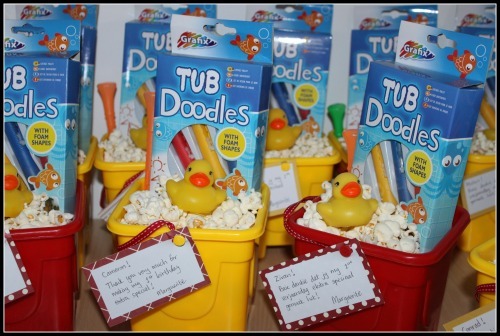 Make it pretty right till the end – here the popcorn looks like bubblebath and the little tubs are a useful toy for the little ones to carry home ! 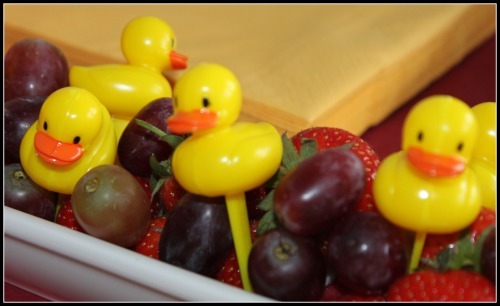 The little duckies are inexpensive and the bath toys goes right with the theme. Do not fall flat here and give them little cars or dolls. 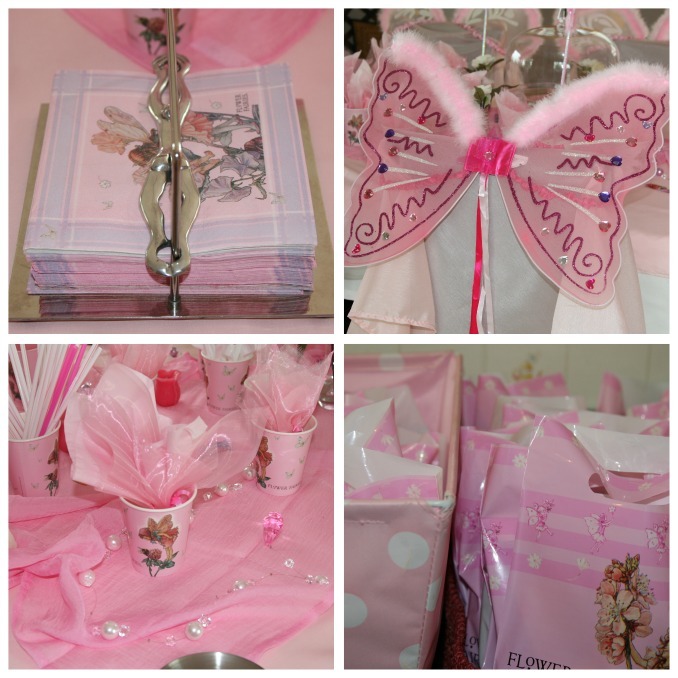 Keep that theme going strong all the way to your goody bags! 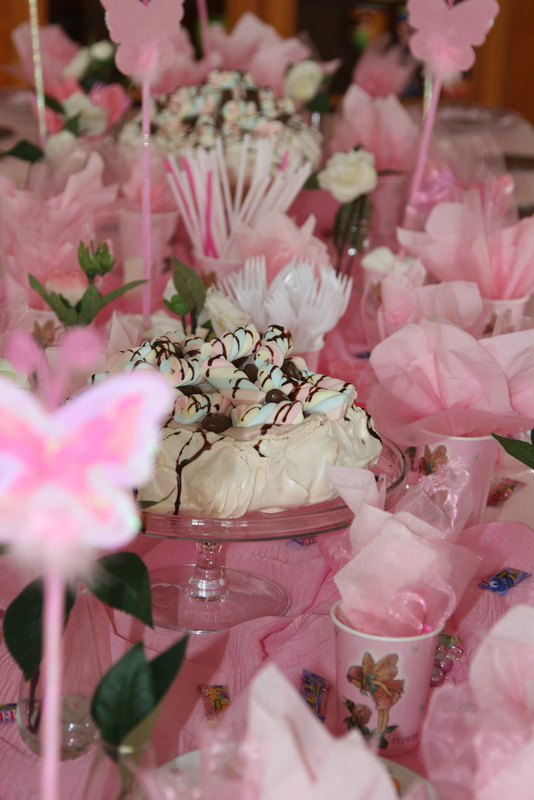 There is no doubt in my mind that every guest appreciated the thought and effort that had gone into creating a theme and a colour scheme for this birthday. If you do not have time to make all these things by hand, you can surely buy them anywhere. Just be creative and smart in putting the different things together. Do not bend in front of the temptation to bring in “misfits” into your room or table or menu. You will regret and the Detail-Dragon will haunt you ! Think of the big picture and remember that the big picture is made up by all the small parts and the little details that needs to work together to create a WOW party that will linger in your guest’s mind long after they have left. 3. Food can be decorated, within theme, but is even more appealing to the eye if the food itself can serve as decorative elements in terms of colour and theme. 4. Keep venue decorations simple but special and noticeable. 5. 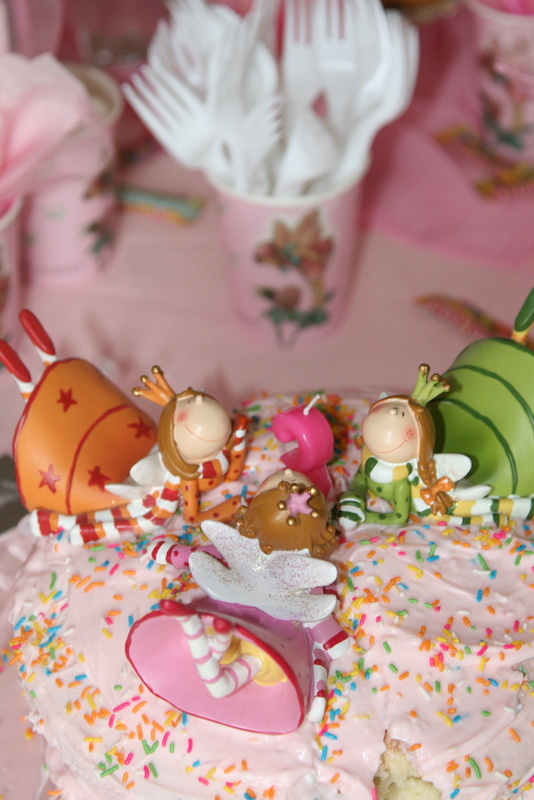 Buy or bake a cake and decorate in line with colour and theme. 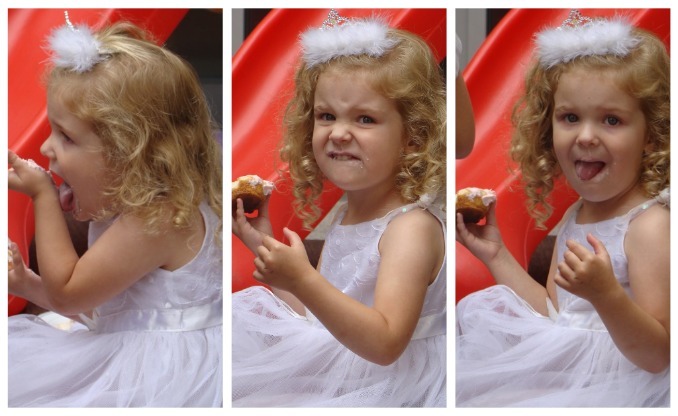 Add cupcakes for extra. 6. 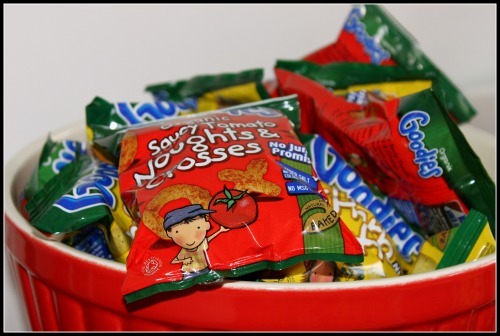 Provide goody bags that are cute but not excessively stocked, and keep it inexpensive in comparison to gifts people bring. 7. Stick to your guns in making every single item you place in the room or on the table within your specified theme or colour scheme or you risk losing the WOW factor !! I think this was a job so well done. 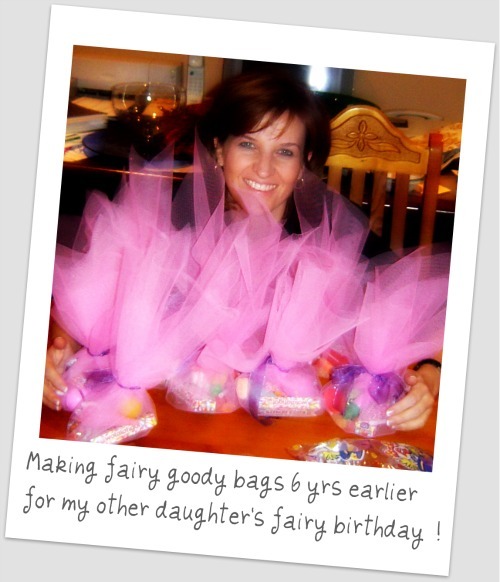 It ticked all the right boxes in my list of planning, preparing and executing for a themed birthday party. Hats off to my sister for hosting this theme party. And tell me if you have some more ideas on this topic ! One last tip – dress in line with your theme and colour scheme. A pastel pink dress will not go down the same way for the party girl than a bright red one !! Are you willing to try that next time you plan a party ?